Did you know you can sell your old, junk vehicle for a significant amount of money? Often when your car is beyond repair, the only recourse is to look for the nearest junkyard and dispose of it. However, junk cars for cash offer you an alternative as you can now get rid of your old car properly and make some good money in the process. The availability of these services means there’s now a more profitable way to get rid of that rusty vehicle wasting space in your garage. These services used to be rare, but now they’re more commonplace and with a click of your mouse you’ll be able to find a lot of these services online. Another nice thing about selling junk cars is it’s very easy to make money off it. Anyone who’s tried to keep and maintain an old car knows how expensive it is, but the problem is you cannot simply sell the vehicle because there is no one who is willing to pay for it. However with the advent of companies and services that do pay, you have more options. As for the amount you’ll make, it varies, but it’s going to be substantial especially if there are a lot of usable components still left in your car. If you decide to sell your junk car, there’s no need to worry about long, complicated negotiations, because these companies are going out of their way to simplify matters. If you have the proper ownership documentation that’s great! If you don’t have a TITLE, you don’t have to worry about a thing as they’ll handle the legal stuff. Why Do They Want Your Junk Car? This is a fair question, and it’s only natural for one to wonder why any company will want to pay good money for a vehicle that’s destined for the junk heap. The reason is while that car may no longer be road worthy, some of the parts could still be recycled or required by metal companies or car manufacturers. 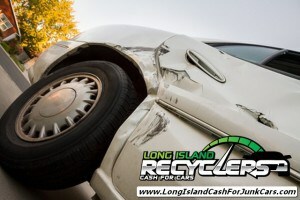 Rather than let it go to waste, these cash for junk car services will dispose of them properly. What to Look For In Junk Cars For Cash Service? If you’re interested in selling your car to one of these services, make sure to do your research first and compare the various services online. Most of these services accept all kinds of car makes and models, and some of them even accept vans and other vehicles, but the policies are not consistent so you should read the fine print. When selling your vehicle, remember that the offered price varies and depends on the condition of your vehicle. The amount you’re going to receive also hinges on the quality of the components still in your car. Fortunately it’s not that hard to compare the features of these companies as you can simply call them, explain the status of your car and you will get a price quote for free.